Recently we have initiated a collaboration with the United Cities and Local Governments (UCLG) with the goal of making the learning methods used within this organization more innovative. Based in Barcelona, UCLG is an organization that supports international cooperation between cities and their associations, and facilitates programs, networks and partnerships to build the capacities of local governments. As part of this collaboration, Smilemundo is developing video animations explaining the Sustainable Development Goals (SDG 8 and SDG 16) of the United Nations from an urban perspective, giving visibility and disseminating information about the work UCLG is doing in this field. 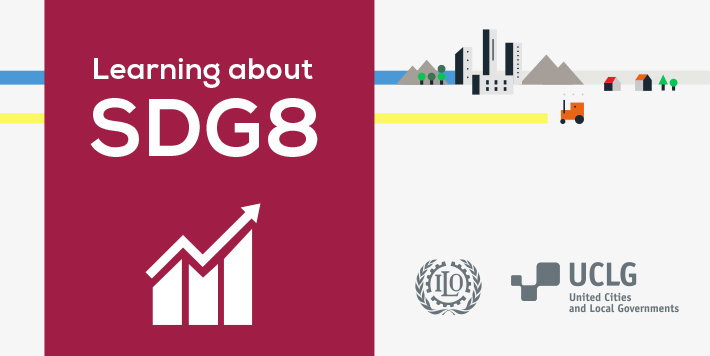 You can see the video for Goal 8: Decent work and economic growth here.